Shanghai Vision Digital Printing Co.,Ltd., is mainly manufacturing sublimation transfer paper in high quality, and have many customers around the world.We will use our expertise to help you solve all kinds of problems. At the same time, we will receive some testing feedback of quality. But the question is wrong method can not become a standard to test the quality. This is sublimation paper and has coating inside, when heating, the environment is too dry, it will absorb the moisture of the paper, then the paper will curl. You could not use this testing method to test the quality. 2.Leave the paper after printing overnight to see the paper quality. After printing, we should stock the paper hermetically or transfer within the required time. We could not lay the paper be exposed to the air throughout the night. If the environment is too dry, it will absorb the moisture of the paper, then the paper will curl, and if the environment is too moist, the paper will absorb the moisture in the air, which will dilute the ink and eventually affect the transfer effect. We need pay more attention to the final transfer rate and stable quality. If you have different questions, you could let us know. 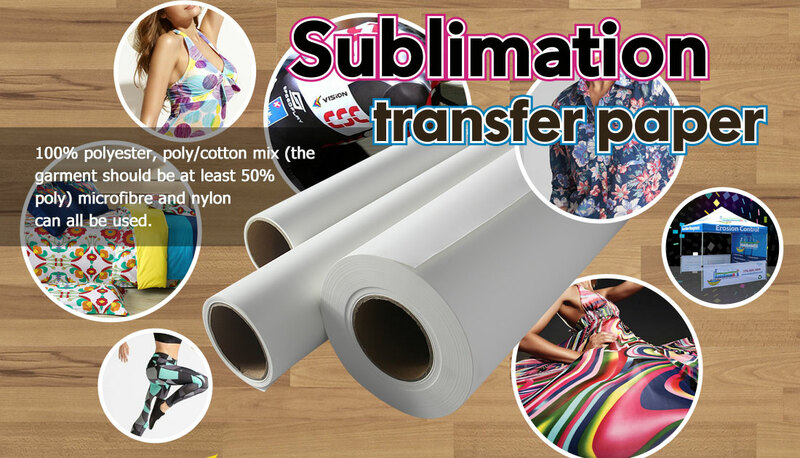 We will try our best so help you solve questions of sublimation.